The 10km and 21km start and finish in the Valley of Waves and athletes will experience the beautiful gardens of the Palace then the route will take you to have the most beautiful scenes of the most popular golf courses.You will experience extinguishing views. 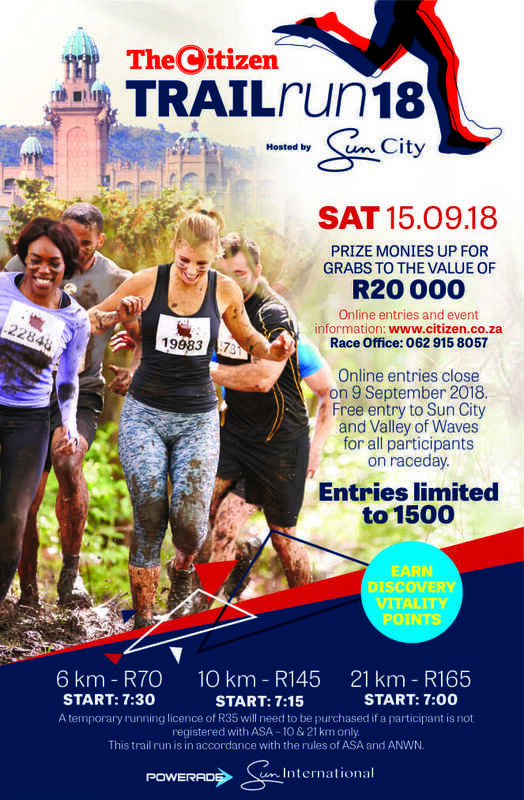 The 21 km will go through the Letaseng Game reserve along the Sun City safety fence. All routes is in a secure fenced area and secure parking. Entries exceeded over 1500 participants.